WEIRTON — For 27 years, the Weirton Area Chamber of Commerce has looked to identify new leaders for the future of the region. While the name of the program has changed, the goal remains the same as Friday and Saturday saw the kickoff of the new class of Leadership Ohio Valley. “This year’s class if filled with bright, energetic and enthusiastic men and women,”Chamber President Brenda Mull said during a welcome dinner held Friday at Undo’s in Weirton. Mull explained she believes everyone has some leadership qualities within them, although most don’t know they exist or how to use them. “Leaders are not born. They are made,” she said. Good leadership qualities, she said, included hard work and determination, a clear vision, being honest, having integrity, courage and an encouragement of teamwork. 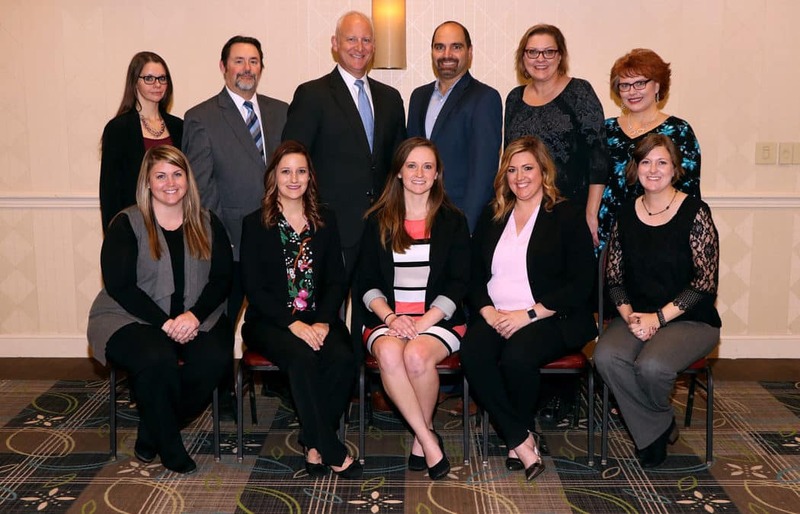 This year’s class, and their sponsors, is comprised of: DeeAnn Pulliam, City of Weirton; Alexis Russell, Follansbee Chamber of Commerce; Anthony Bernardi, Greco-Hertnick Funeral Home; Deidra Edwards, Hancock County Savings Bank; Kaylee Richter, Hancock County Savings Bank; Melissa Mikula, Howard Hanna; Joe Lombardi, Lombardi Development; Stephanie O’Brien, Weirton Area Chamber of Commerce; Kerri Freshwater, Weirton Geriatric Center; tom Bowman, Weirton Heights Rotary; and Staci Breen, WMC Physician Practices. Up until now, the program had been known as Leadership Weirton. Organized each year by the Weirton Chamber, it includes a series of sessions focusing on various segments of the community, including government, education, history and culture, health and human services and business and economic development. Classes also are tasked with attending two local government and civic meetings, completing six hours of individual volunteer work and, as a group, planning and implementing a community service project. Newly rechristened as Leadership Ohio Valley, it is expanding its reach to more fully include all communities in Hancock and Brooke counties, with participants also required to attend events sponsored by the chambers in Weirton, Follansbee and Wellsburg. Mull encouraged the class to think outside of the box when planning their activities, to step outside of their comfort zone and to have fun. Joyia Lytle, a 2018 graduate of the program, is serving as the class coordinator. Session advisors are Jeff Davis, Patrick Ford, Clayton Henderson, Pam Makricosta and Larry Tackett.